Our product range includes a wide range of rotodel gear oil pump. We are offering of Rotodel Gear Oil Pump. Rotodel Rotary Gear pump are useful for handling viscous liquids i.e. kings of oils, viscous chemicals and food application. Followings liquid can be handle with them. Fuel oil, Diesel oil and furnace oil. 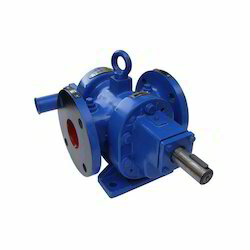 Rotary Gear pumps find wide application in Power Plant, Steel Mills, Refineries, Oil storage installation etc.